It’s time to leave, but my daughter is missing a ballet shoe and I’m still trying to pack some version of a healthy-ish supper for the long night ahead. Did the dog take the shoe? Finally, we are in the van and pulling out of the driveway. Wait a minute... a forgotten school book. Back at the house, the book is retrieved. Five minutes late for meeting the ballet carpool, I’m sweating and feeling a bit exhausted from the already full day. What? There’s snow in the forecast...again!!?? Such is the life of carpooling our LWB dancing daughters from Lowville to Syracuse. You may be wondering, what in the world were those Lowville mamas thinking?? Why would they take on such a time and financial burden? Can’t they get their daughters into the local soccer program?? Those are all legitimate questions. And we have certainly entertained those thoughts. 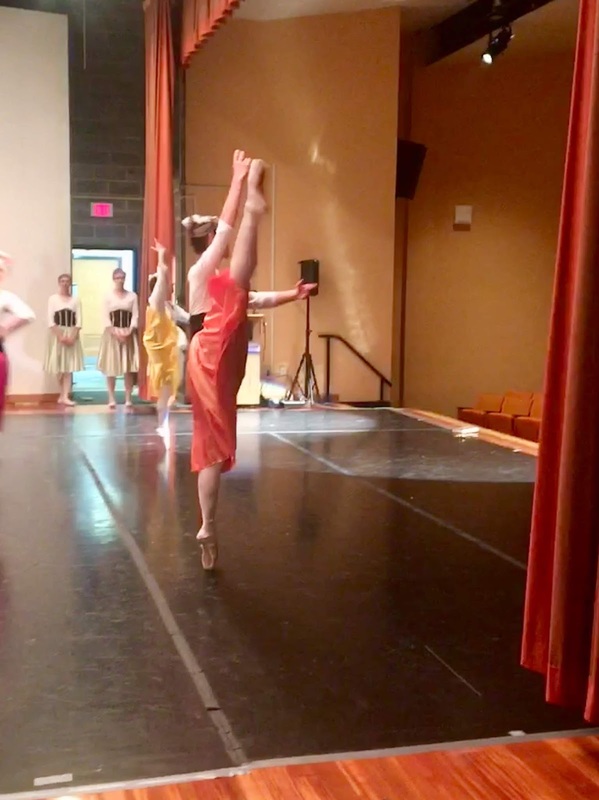 Our ballet mom carpool consisted of me, Rebekah Zehr (Isabelle’s mom), Karla Green (Mia’s mom), Heather Jennings (Sally’s mom) and Tish Zehr (her daughter Alexi took classes for three years), as well as various grandmas and grandpas. We caught the vision for LWB about 8 years ago when the company performed at a local church. We were totally in awe of the dancers who carried themselves with such grace and dignity, to say nothing of their technical abilities. And then there was the incredible, God Inspired message. This was a performance that was nothing like anything we had ever experienced. Would our daughters ever be able to be involved in something so powerful? Fast forward seven years. Isabelle is a now a Trainee and Sally and Mia are in Ballet 7/ Youth Ballet. Was our decision to enroll our girls in LWB worth it? Despite all the late nights (driving through snowstorms, occasional flat tires, fatigue, juggling schedules, missed events in Lowville) the answer is absolutely, without a doubt, YES! We do not have any regrets. Why? Because, simply put, LWB added value to our daughters’ lives. As we reflect over the past 7+ years that our daughters have been involved with LWB, we each have a message of what LWB has personally meant to each of us. We hope this encourages you and helps you to see a bigger picture that sometimes gets cloudy when we are exhausted and at the end of our rope. “The value of LWB is priceless. Ballet is actually secondary learning to the personal growth of the spiritual learning and Godly role models who speak into their lives. Worth every penny and time commitment. Sowing seeds takes time and money but the reward is worth it in the end when they are grown and out the door living for Jesus with a solid foundation.” -Karla Green. 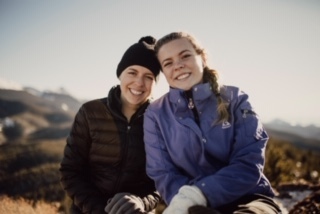 “...What I value, in addition to the excellence in classic ballet training, has been the culture that our girls have taken part in: a culture of service, humility and honor, and a focus on sharing the gospel, praying for healing-basically I would call it a revival culture.” -Heather Jennings. I am so grateful to God for placing the opportunity to be a part of this amazing ministry into our laps. As we three moms drew closer together with a strong commitment to see this crazy idea through, God was so faithful. Not only did the girls have an incredible experience at the studio, but they became very dear friends. The friendship that has developed between us moms is very special as well. As this ballet year is soon drawing to a close, I would invite each of you to reflect on how God has used LWB to grow and shape your daughter. Thank Him for his goodness in establishing this ministry in your area. How blessed we are! And please continue to pray that LWB has as powerful an impact on future generations as it does on this present generation of outstanding, Jesus loving dancers. 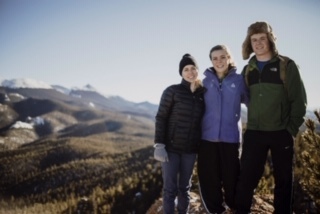 Over Christmas break, our family spent a week in Colorado Springs visiting our oldest daughter, Ella and her husband, Mark. Colorado Springs and the surrounding area is teeming with outdoor activities. One such adventure was a Wintery hike to Raspberry Mountain, a 4.6 mile jaunt. As we began the ascent I was reminded of a quote by John Maxwell: “Everything worthwhile is uphill.” I began to ponder that statement as we walked along gentle slopes, rough terrain, and everything in between. How does this concept apply to my family? What uphill journeys have we taken and how has it benefited us? And what sort of mountains is God calling us to take on next? Just Start. Standing at the bottom of a mountain can be intimidating and cause fears which lead to stagnation. Sometimes the most courageous part of anything new is taking the first step. The more steps taken, the more momentum there is to continue. Sometimes its okay to fail. As parents the Holy Spirit gives us discernment in seeing when our children have reached the point that would be detrimental to continue. In those moments, take them by the hand and go back down the mountain. The good news is, parents can use these moments to teach valuable lessons. After becoming better equipped, many times that mountain can be successfully ascended. The view is spectacular and well worth the hike. As a family, take time to pause and enjoy the view. During these times appreciate each other and the God who never leaves you nor forsakes you. With your family, take moments to pray to our Lord and thank Him for all He has done and has yet to do- on the mountain, in the valley or anywhere in between. Do you have any memorable uphill journey stories? Share them with your family and friends. They make powerful testimonies to show God’s faithfulness and sovereignty. 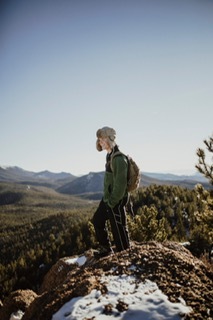 Is there a new mountain in your future? Take it to God and ask Him to lead to way. Be encouraged that He will go before you. 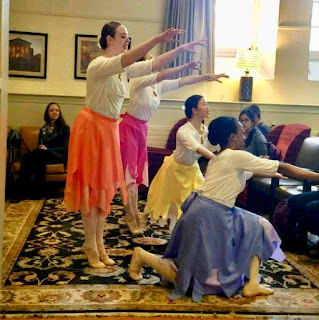 The company performed 'Ana's Battle' at Hutchings Psychiatric Center for about 40-50 people.This was LWB's 7th time to perform at Hutchings! The story of 'Ana's Battle' really captivated the audience and was a first for many of them to see a live ballet performance! The message of the ballet of not letting lies about what we believe about ourselves keep us captive was very powerful. Ashley encouraged people that each one has a unique handprint and something unique they have been created for! Several people stayed after to talk and seemed very relaxed and at peace! The conversations people had were uplifting and encouraging. We always enjoy going to Hutchings and interacting with the people there! 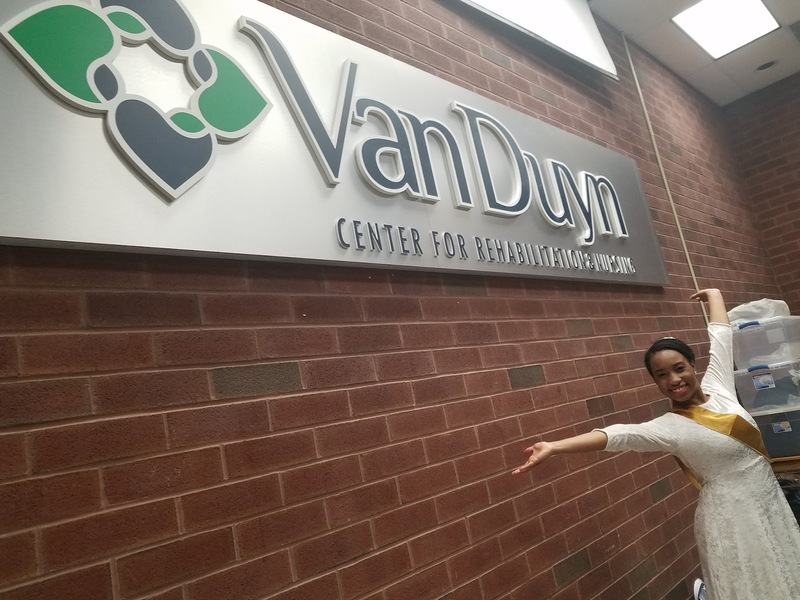 To finish out our outreach time, we trainees performed Ana's Battle at Van Duyn nursing home. We had the privilege of being their official Friday night entertainment that week. As we rolled out the floors, they rolled in the popcorn machine and the show began. My choreography project was presented, followed by my testimony and Ana's Battle. Then residents joined us in arm motions to a song, in a declaration of freedom. When the dancing concluded, we were able to have quite interesting conversations with many of the residents and I could feel joy in the building that had not been there before. One woman was so enthusiastic that she sang her way out of the room! We left that place with a fullness in our hearts, having enjoyed God's presence, the people, and the popcorn tremendously! Hello everyone! Just wanted to tell you about the Trainees’ recent performance at SU! We performed for a group of international students during a luncheon put on by the Christian chaplain at the school. It was a wonderful time of learning about the outreach and talking with the people there and getting to know their stories. Amelia shared about the importance of living in community with one another, which I thought was especially meaningful for this performance. Thank you so much for your interest and support in our ministry!